When it comes to dentistry vs. medicine, most people don’t know the difference. Why should they? After all, it’s only natural to seek your doctor’s advice when you need medical care or attention. But what most people don’t realize is that they should be turning to their dentist instead. 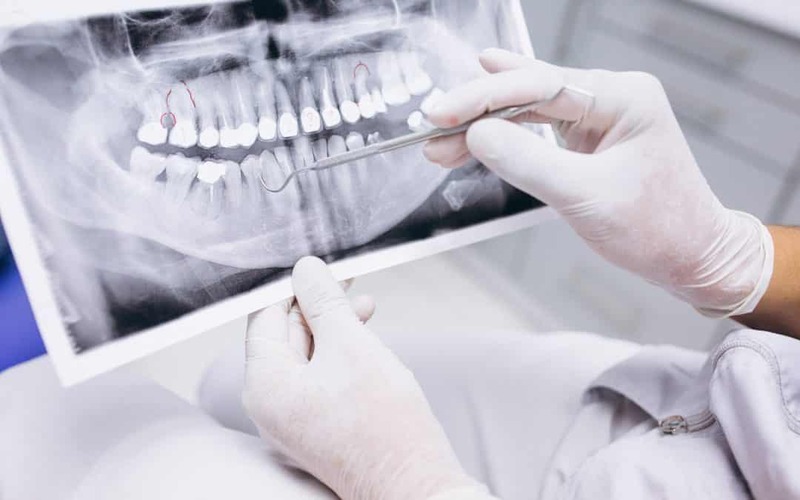 This article explains everything you need to know about the different fields of dentistry and why dentistry and not medicine might be the answer to your health crisis. Medicine vs. Dentistry: What’s The Difference? Although it might seem like a no-brainer, it can be hard to differentiate between medical and dental care. Research shows that dental health benefits have grown since they were first introduced in the 1960’s. In fact, more than 50 percent of Americans are covered by a private dental plan today (1). These plans are designed to mimic many major medical insurance plans. However, there are a few key differences between each plan to be aware of. First, dentistry is a specialty area of medicine. In other words, doctors who become dentists must train in that specific area of medicine. Dentistry is a particular area of health that most medical doctors don’t have time for. Because of this, dentistry is a separate area of health that demands its own doctors. For example, if you were to have a heart concern, then you would see a cardiologist. Likewise, you will need to see a dentist and not a regular doctor when you have an oral concern. Next, it’s important to realize that dentistry involves more than just oral health. It also includes cosmetic care. Many people see a dentist when they have a dental cavity or oral concern. But you can also see a dentist if you want to improve the appearance of your smile. There are also overlapping responsibilities, where dentists and medical doctors may be required to work in tandem. Some examples include oral surgery due to trauma, which may start with a dental implant placed by a dentist, but conclude with facial reconstruction performed by a plastic surgeon. Additionally, sleep apnea and TMJ issues were traditionally treated by medical doctors, however, patients have increasingly turned to dentists for treatment with oral appliances. More generally, dentists and doctors have different responsibilities. Dentists are responsible for treating oral diseases and concerns. This includes filling cavities, straightening teeth, removing diseased teeth, fixing cracks and chips, and repairing broken teeth. On the other hand, doctors address broader health concerns and sending patients to a specialist if necessary. Both doctors and dentists work to prevent diseases before they occur, so it’s important to make regular appointments and check-ups with both. Endodontics: this area of dental health involves the dental pulp and nerves associated with your teeth. An endodontist usually performs a root canal. Dental public health: dentists who specialize in dental public health focus on social health policies and the well-being of an entire community as opposed to one single patient. These health experts try to prevent oral diseases on a large scale basis. Oral and maxillofacial pathology: this type of oral care involves oral pathologists who specialize in the cause behind specific oral diseases. They may perform a biopsy to diagnosis a problem. Oral and maxillofacial radiology: this area of dentistry involves using x-rays and other tests to manage diseases to teeth and facial bones. Pediatric dentistry: this area of oral care focuses on caring for children with dental problems. Periodontics: also known as periodontology, this branch of dentistry involves preventing and treating conditions that involve the tissues and gums that surround teeth. Orthodontics and dentofacial orthopedics: this type of dentistry involves straightening the teeth and modifying oral-related facial problems. Oral and maxillofacial surgery: this branch of dentistry includes facial surgery, extractions, and implants. Prosthodontics: this form of dental care includes health experts who restore implants, dentures, and bridges. These professionals may also replace missing facial structures, including the nose, eyes and ears. Sleep Apnea: this includes the diagnosis and treatment of sleep disorders, primarily through the use of oral appliances. Why is Dentistry Separate From Medicine? Oral diseases differ from diseases that occur in other areas of the body. They often have unique triggers and symptoms, which means they should be treated as such. Oral diseases can also be an indication of a more serious disease or give your medical provider a heads up that something is not right in another area of your body. Because of this, your dental plan should be different than your traditional medical plan. This ensures that you have the coverage and protection you need to screen for or treat each disease as its own entity without lumping it into one broad category. No, dental is considered a separate entity from medical. This is because dentists and doctors undergo different training and schooling. Most of the time, x-rays and other preventative dental care is not covered under typical medical plans. Because of this, you will need a dental plan that covers oral care. If you were to have a heart attack, your general family doctor would probably send you to see a cardiologist or someone who specializes in that area of health. Likewise, a dentist is a doctor who specializes in oral health. When you have a dental or facial concern, you’ll want to see a dentist because they have specialized training that can help treat this specific area of your body. On the other hand, a medical doctor is trained to see patients for a wide variety of reasons. They may not be able to provide you with the care or treatment that you require for a dental concern. When it comes to matters of the teeth, gums, and surrounding facial area, it’s best to choose dentistry over traditional medicine. The bottom line is that you need both dental and medical care. But it’s important to know when to see what practitioner. All problems that concern your gums, teeth, and oral health will need to be addressed by a dentist and not a medical doctor. You can also use regular dental check-ups as a way to keep an eye on other areas of your health as well.